After long and tiring hours at work, we all deserve a break and oftentimes, heading to the beach to feel the sun and the waves does the trick. Frolicking in the clear waters while flaunting your beach body can be fun, but adding something different to the usual can shake things up. Aside from the pristine beaches and sandy coasts, exotic destinations throughout the world offer a wide array of beautiful aquatic life, so why not try going on a fishing trip while you’re at it? If you want to embark on a fishing adventure but have no idea where to go, here are some exotic places that are perfect vacation spots to enjoy the beach as well as the diverse life that lies beyond the deep, blue waters. Cambodia is home to exotic beaches and rich aquatic life, including one of the biggest freshwater fish in the world, the Mekong catfish. This giant can grow up to 650 pounds and has already been featured in an episode of Jeremy Wade’s River Monsters. The beach may not have the most exotic-sounding name you have ever encountered, but Southwestern Beach is a beauty with its long stretch of sand covering over 43 miles. If you want to maximize the spectacle that Koh Rong offers, better set your fishing trip with the right moon phase to also enjoy its beautiful waters illuminated at night by bioluminescent plankton. If you go by the saying “bigger is better”, then you’ll feel extra pleased once you set foot on Exotic Fishing Thailand Resort. Located just less than an hour from Phuket International Airport, it attracts a lot of fishing enthusiasts because it offers the Arapaima, the biggest fish in the waters of Thailand. Having 10 acres of fishery, the resort is home to Arapaima weighing in at over 350 lbs. Travelers who go on fishing trips specifically to catch monster fish will not be disappointed. There are other species aside from the Arapaima, including giant stingrays (220 lbs), the Wallagoo Leeri (130 lbs), the Mekong catfish (some over 300 lbs), and many others. The resort also houses over 60 fish species, so you can never run out of options to choose from. After you’re done fishing, you can complete your getaway by staying at the Hotspring Beach Resort, a 4-star hotel that is the perfect vacation spot for guests who are looking for that warm, tropical feel. The hotel has a natural hot spring and offers luxury Thai style accommodations, including private spa pavilions surrounded by stunning tropical gardens. Located within the Freycinet National Park in Tasmania, Wineglass Bay is a go-to vacation spot especially for couples on a honeymoon who would want to try exotic fishing and be a little more adventurous. The fishing trip will hook you up with a variety of fish including barracuda, Australian salmon, and flathead. Aside from the ocean, nearby lakes, rivers, and streams also offer trout for a more relaxing experience. Beach bumming and fishing are inevitable activities included in a vacation itinerary, but one woman in Florida has decided to mix things up. Vicky Stark has attracted over 47,000 followers on Instagram for posting photos and videos of herself in a bikini while catching large fish. She has been seen fishing for tuna, large marlin, and sailfish among others, all while wearing a swimsuit. According to Stark, she enjoys fishing because of the thrill of the activity and the tug she gets on the end of the pole. So the next time you plan to book your next vacation spot, you may want to try adding a little adventure to your beach escapade and challenge yourself on a fishing trip as well. 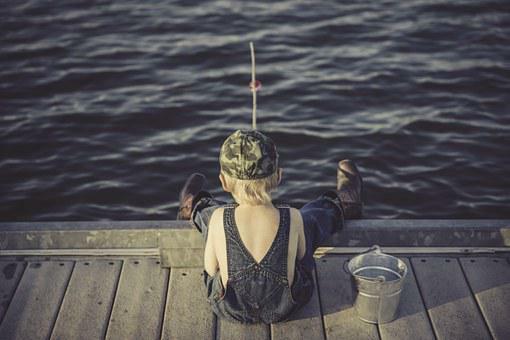 This is what fishing for survival by learning the basics of fishing in the outdoors is all about.